I’ve written a lot about how much I love the food in Hong Kong. I’ll probably write more even after this. I’m a food-oriented person to begin with (I know, shocker) and the places I’ve been and the memories I have are, a lot of times, defined by the things I ate and savored and enjoyed in any one place at any one time. But all that said, Hong Kong might still be the greatest food city I’ve ever been to. The first real meal I had in Hong Kong was courtesy of my cousin, who is lucky enough to call HK home and to whom I owe about 85% of my HK food journey. He took me to a traditional Cantonese restaurant, the sort with the ubiquitous Lazy Susan crowded with small plates and bamboo baskets, and the first dish he ordered was, fittingly, a plate of the most perfect char siu, lacquered ruby red and glistening, sliced into pieces with the fat and lean distributed just so. I’m pretty sure from that first bite (or, that first plate, since I think I single-handedly ate all of it) I didn’t have a bad meal for the entire four months I was there. Chewy, crumbly pineapple cakes from Kee Wah, nibbled in their plastic jackets on an open-air walkway from Central to Sheung Wan; fish ball skewers in electric yellow curry on a narrow street in Causeway Bay; “quicksand” lau sa bao filled with molten egg custard at a dim sum joint that opened at 3 AM for the late night crowd. Creamy yuan yang and silky-soft scrambled eggs on toast at Australia Dairy Company. A mountain of ground pork with a single salted duck yolk perched exactly on top, the most umami-filled dish I’ve ever had, ordered for me in fluid Cantonese by a friend and shared under fluorescent lighting in a hole-in-the-wall on a balmy fall night. I used to take the bus to a random neighborhood and just wander, window-shopping food things, until I found something I wanted to eat, and from the KFC egg tarts to the best, penthouse restaurant hairy crab, it was all some of the best food I’ve ever had. 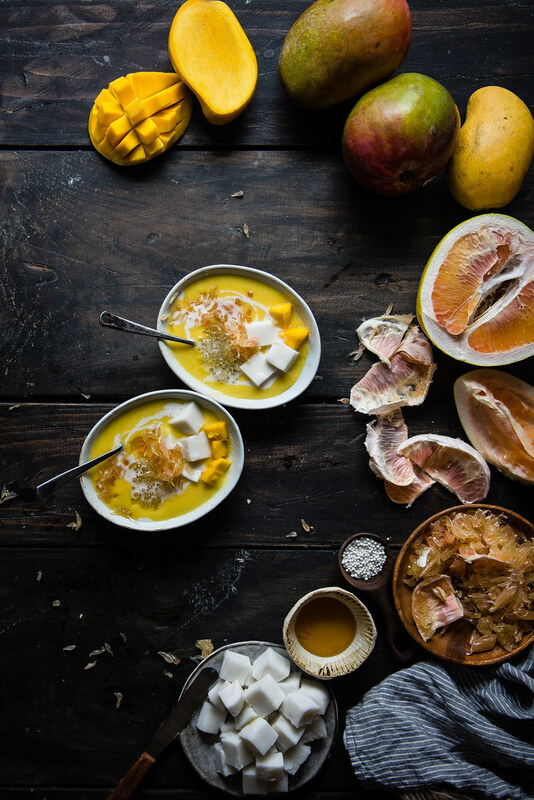 One of my favorite desserts in the hotter months was a chilled sweet pudding-slash-soup called mango pomelo sago, a classic Hong Kong dessert that I first had, again, courtesy of my cousin. 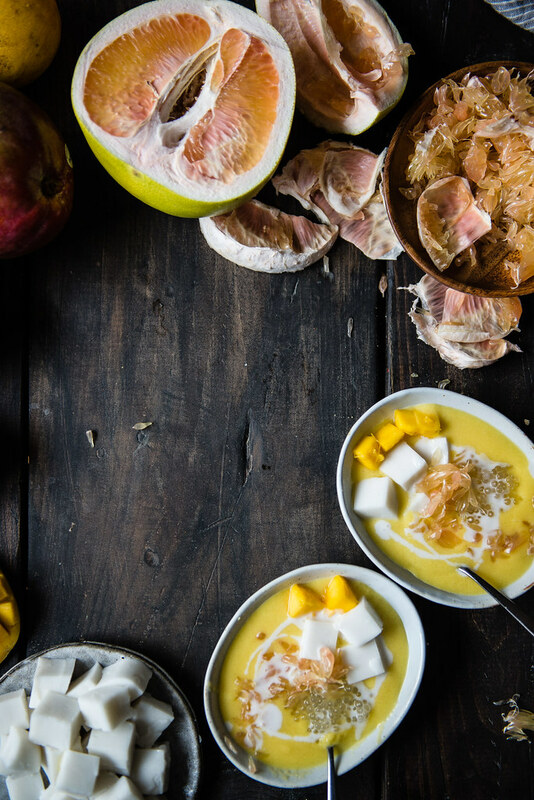 The base is a smooth, nectarous mango soup, and then you can get all kinds of combinations on top — most often more cubed mango, sweet and mildly tart pomelo vesicles (the word I’ve now learned means “those little teardrop sacs of juice inside citrus segments”), and chewy balls of sago, a close cousin to tapioca, but you could get inky-black grass jelly, wobbly silken tofu, melon balls, and a myriad of other things, too. It was so good that, in a place where I felt everything vied for position as my favorite thing ever, mango pomelo sago still managed to stand out. So, with the weather starting to warm up (just, at times), and with HK nostalgia never far from my mind, I went on a hunt across my neighborhood to find everything to recreate this at home, while mangoes are coming into season and pomelos are still lingering in spots. I couldn’t help adding in just a little twist on my homemade version — my favorite iteration of the dessert was one with silken tofu, but I always found myself wishing that part was just a tad sweeter and more flavorful. So I subbed in one of my favorite things from Hawaii — haupia! 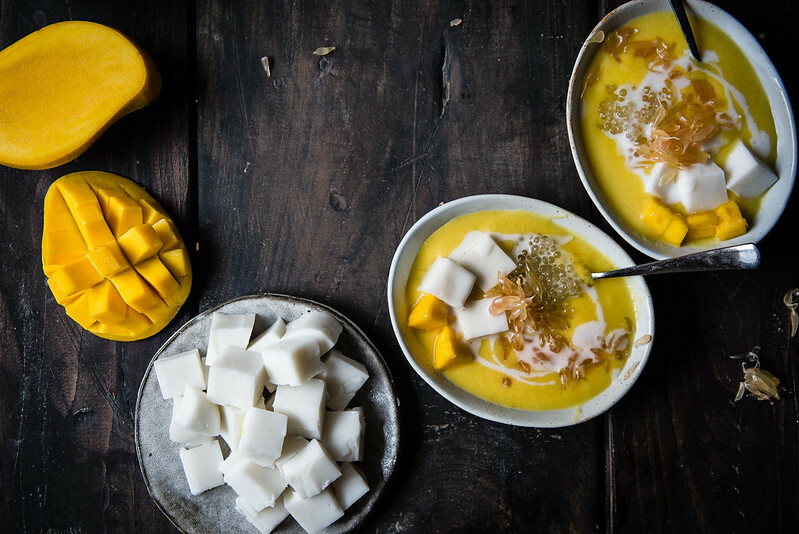 It’s the dreamiest coconut treat that’s halfway between custard and jelly, and with the coconut milk already in the mango soup, it was the absolute perfect addition to round it all off (and to use exactly one can of coconut milk for the recipe, which always makes me feel disproportionately triumphant). 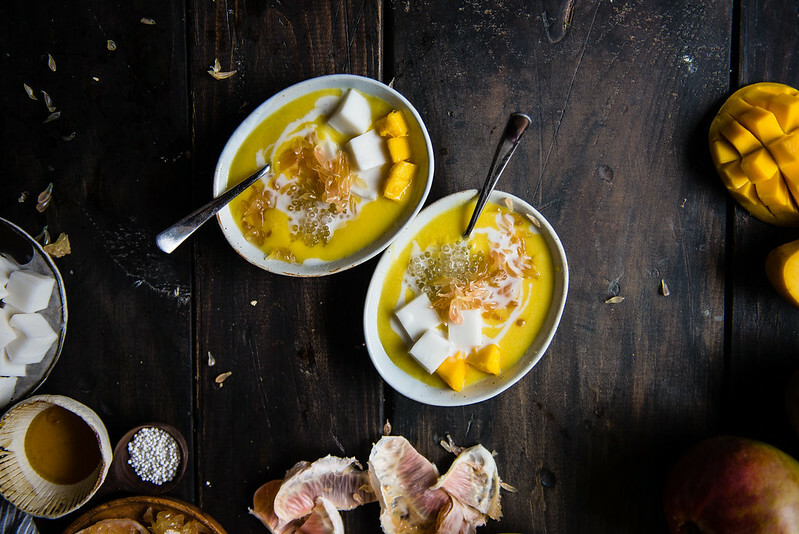 The dish is refreshing to slurp but rich enough to feel decadent, and the contrast in textures between the creamy soft cubes of mango and haupia, tiny bursts of juicy pomelo and bits of chewy sago, makes it a joy to eat. I hope you love this as much as I do! Mango pomelo sago, with haupia. 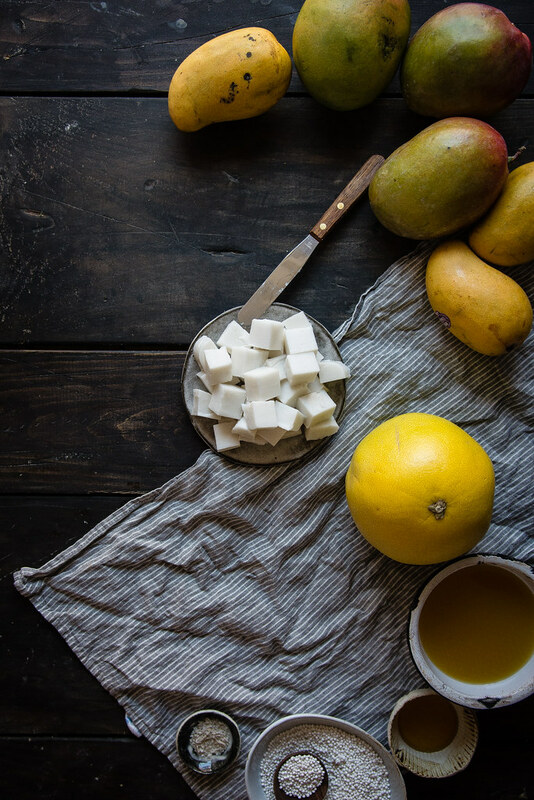 Yellow Ataulfo mangoes are in season right now and have a creamy, custard-like consistency with this amazing, nearly caramel flavor -- I loved them in this application, but the red-green mangoes, while more fibrous, will work wonderfully too. Haupia recipe with help from Maui goddess Fix Feast Flair and Focus Snap Eat! To make the haupia, combine coconut milk and sugar in a saucepan and bring to a simmer over medium-low heat. In a small bowl, whisk the cornstarch and water until smooth. Add the cornstarch slurry to the saucepan and continue to cook, whisking continuously, until the mixture thickens to a pudding-like texture. Remove from the heat and pour into a 8x4” loaf pan, or a pan of similar size. There is no need to grease the pan. Cover with plastic wrap and transfer to fridge to chill and set, about two to three hours. Meanwhile, prepare the tapioca. Bring a pot of water to boil, then add the tapioca pearls and simmer for about 10 minutes. Remove from heat and cover tightly. Let sit for an additional 10-20 minutes, until tapioca is translucent and fully cooked. Rinse tapioca to remove extra starch and drain. Set aside. Using a blender or food processor, purée 1 1/2 cup cubed mango and 1/2 cup coconut milk until smooth. Add the mango juice and stir until the purée reaches your desired consistency. Add the honey, agave nectar, or simple syrup, to taste. Finally, add the prepared tapioca and let the mixture chill in fridge until cold, and until haupia has set. To serve, slice haupia into cubes. Portion out tapioca mixture into individual bowls, then garnish with haupia cubes, remaining diced mango, pomelo, and a swirl of the remaining coconut milk. Enjoy cold. On substitutions: I was pleasantly surprised to be able to snag a pomelo for this (and it was pink to boot, so pretty!) 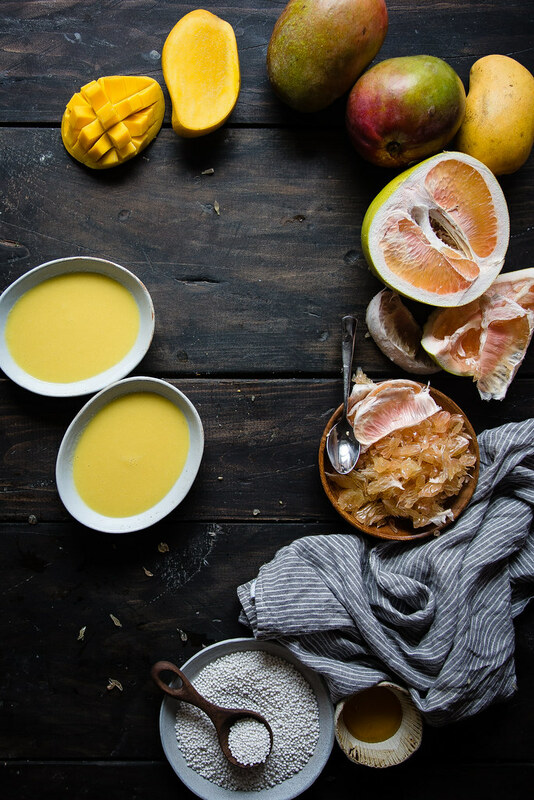 but grapefruit will work just fine in a pinch, as would regular oranges. As for the sago, tapioca is a fine and nearly indistinguishable substitute, and it's what I used here -- though, surprisingly, it was the hardest ingredient for me to find! If you have trouble too, check your grocery store's section of Bob's Red Mill products, which is where I ultimately found mine. Finally, many other recipes call for condensed milk or evaporated milk instead of or in addition to the coconut milk -- I kept it simple here to be able to use an even can of coconut milk, but feel free to experiment! I love EVERYTHING about this post from your oh-so-vivid descriptions of the food in HK (seriously, I want to jump on a plane right this minute and go and eat all of it) to this perfectly decadent bowl of goodness to your always stunning photography. We’ve got a mango coming in our veg box next week and I was wondering what to do with it. Now i know! Thank you so much for your sweet words, Kathryn!! Your version sounds so delicious, Monica!!! 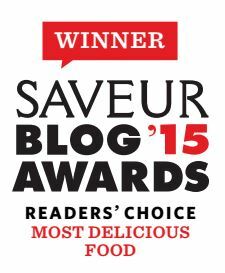 (And oh my gosh, yes — black sesame dessert soup for all!) Thank you so much for stopping by! Mango is every where in HK! I am smitten with mango pudding with loads of condense milk and those egg waffles ( Gai daan jai) from the street stalls. You trip is so well deserved and it seems like a good destination for a food eating tour. The brights and darks of these images are to die for! Your control of the camera is something I admire Cynthia. I’m intrigued…I’ve never seen a dish anything like this but all of the ingredients sound wonderful together. You are so kind, Anna! Thank you! Such lovely words, Agnes! You’ve captured how I feel about food memories exactly 🙂 Thank you so much for such a thoughtful comment! That color!! Cynthia, this is beautiful. I love your description of getting Cantonese, sounds like I need to go to Hong Kong now because you make the food sound amazing. 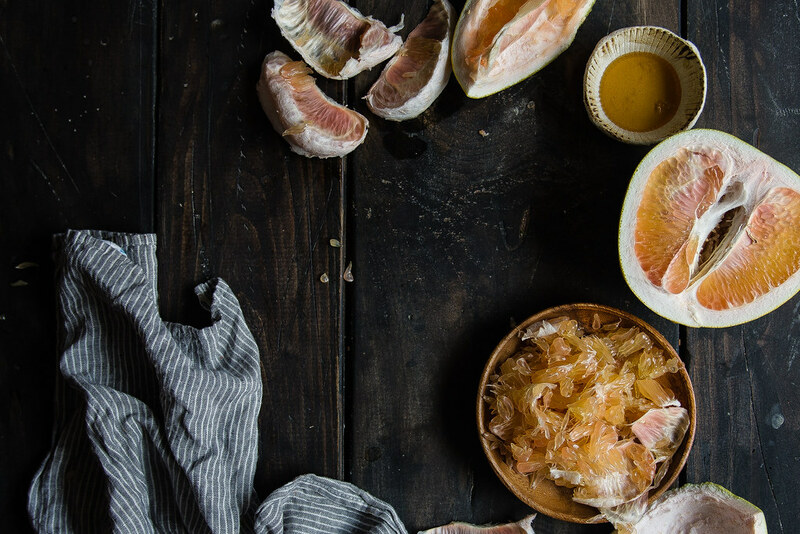 The pomelo looks gorgeous in the photos, as does the recipe, but you really never take a bad photo do you? 😉 Hope everything is going well! Oh this is one of my favorite desserts ever! Your post brought back a lot of memories of HK. Did you also try the “durian pancake” — a light durian cream wrapped in a durian fondant-like skin? What beautiful memories and a gorgeous dish to match. I love when experiences are tied to food. There’s no other way to do it! Wow, yum! Wondering if you can substitute chia seeds for the sago? Just because that’s what we have on hand and I’m not sure where to get sago around here. I was introduced to the beauty that is haupia when I visited a dear friend in Kauai, and I miss it often. This takes me right back! The food in Hong Kong sounds amazing. I have yet to travel there; however, it is on my list of “must visits”. This dessert is so beautiful and I can see why you would want to re-create it in honor of the slow emergence of spring. Its so happy and vibrant. I bet it sends the taste buds into a happy place. This makes me so nostalgic! Can’t wait to go buy a few mangoes and make this! “–the places I’ve been and the memories I have are, a lot of times, defined by the things I ate and savored and enjoyed in any one place at any one time–” I can totally relate to this one! Also, I must say that I have wonderful memories of various meals enjoyed in both Hong Kong and China. They have such a vibrant food culture just waiting to be explored! What a glorious spring dessert you’re sharing with us today! All that yellow. Love. Firstly, your food styling/photography is just ridiculous, Cynthia! I could spend hours just flipping through a picture book of your work and be a happy girl. And these are some of my favorite photos you’ve ever posted. The contrast between light and dark; color and neutrals is STUNNING. Ohhhh sister….This is one of the best things I’ve seen as of late! (in the foodie world) I realize nowadays that my palate is super like, gimme-some-of-this-dish-or-i’ll-bite-myself-geared towards Asian food, and particularly Hong Kong’s flavors. This is beautiful in every sense of the word and reminds me of the Filipino dessert called halo halo and of course, the desserts I can only get my hands on when I go out with my girlfriends to a cute little Asian cafe. Maybe now it won’t be so much drama to eat this whenever I want though, thanks to you?! ^_^ And have a beautiful day! ahhh…i want to go back to hk and eat all the things!!! yes yes yes to this mago pomelo sago 🙂 every time i see a mango i think of hui lau shan and how i would just casually order the mango juice with mango jelly and mango cubes on every other street. ugh. major craving now!!! Omg!! My fav fav favorite!! This sounds incredible! 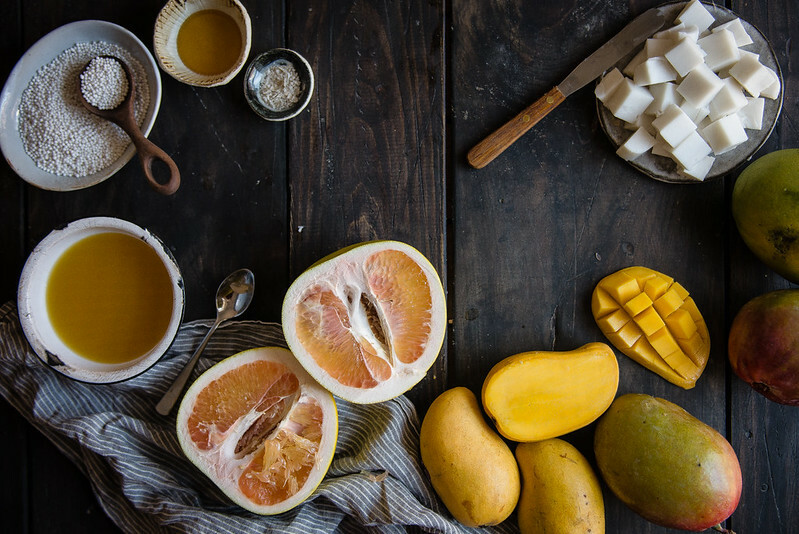 I want to try these caramel-tasting mangoes, pronto! The mango desserts in Asia are divine! Yours looks amazing! Isn’t it wonderful how our culture and heritage enriches us, the food we wish to share and the dishes we most cherish? I just love how you brought all those snetiments to life with this stunning bowl of goodness. Beautiful. I love how food brings about such a vivid memory of Hong Kong for you. I felt like I was right there while reading this. 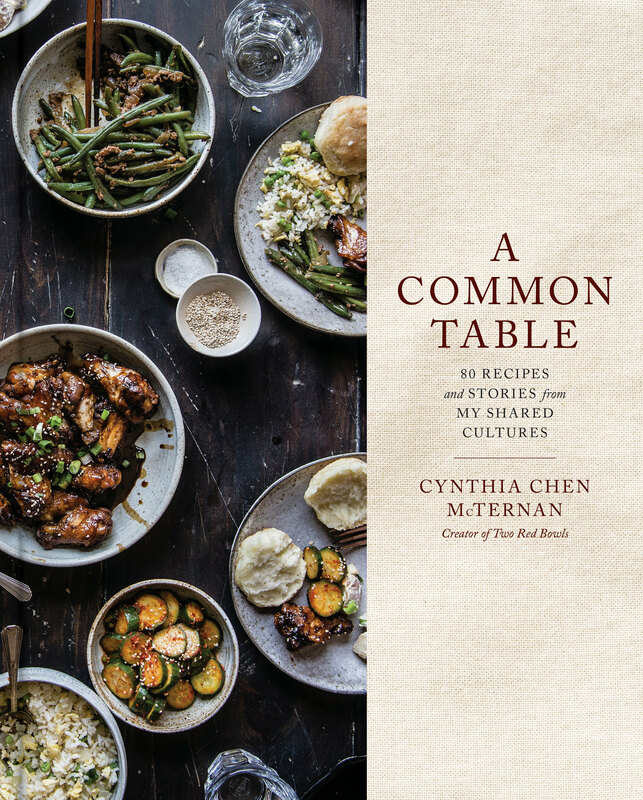 You continue to inspire me with such creative and soulful dishes. This is truly your “Soul Food” and I love it. yay, love reading about your food memories! 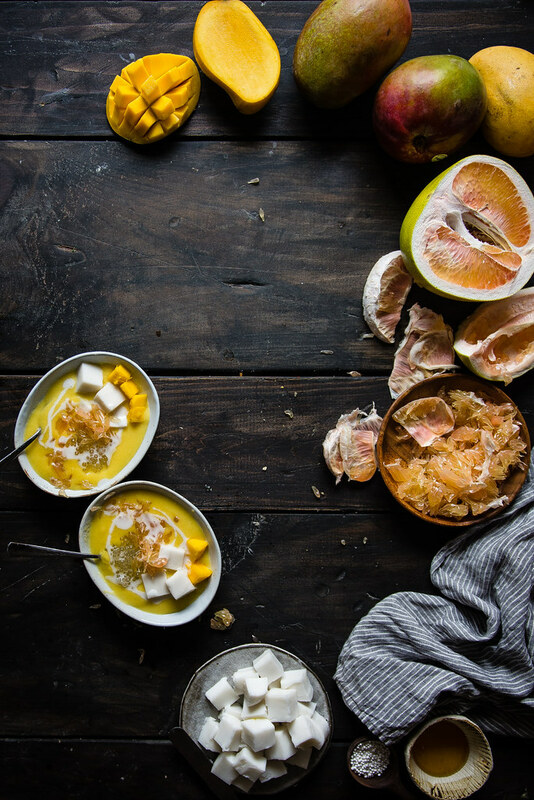 and i am in total love with these vibrant yellow bowls, and your photos just capture it all so beautifully, cynthia! hope you and b2 are well, and enjoying the warmer temps, xo! Just beautiful, love this flavour combo. My wife was born in HK so I’ve been lucky enough to visit a few times and wow, the food! My favourite thing is finding a good bakery early in the morning to get a daan taat that is still warm and crispy …. I’m drooling! Ooo a yummy mango soup dessert? This sounds heavenly, and it looks beautiful!! I really dig these colours together, I have to use them in some recipe! Your writing brings back such memories of my own times in Hong Kong. I love this. It’s going right to the top on my list of things I want to make. Adding haupia -> awesome. Yours in honestly more beautiful than any I’ve ever seen in Hong Kong! This Pennsylvania Dutch girl has NO IDEA what most of those foods you mentioned are. But they sure sound exotic! I became a mango fanatic in college and I’ve been enjoying them plain over the past few weeks, but this certainly sounds interesting ….